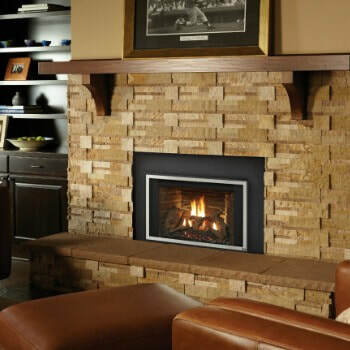 This gas fireplace inserts | 430 | Lopi gas insert is a true heater. In fact it can heat up to 1,500 square feet. With a large fire display, the 430 GSR2 is a stylish showstopper for any home. With a 20% bigger viewing area than most gas inserts its size, this product delivers the look of a traditional, open fireplace. 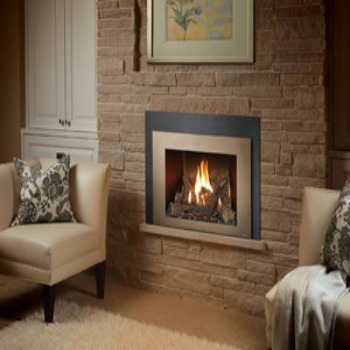 This fireplace insert is ideally suited for zonal heating or for smaller homes. This item comes fully loaded with the GreenSmart™ 2 handheld remote, rear interior Accent Lights and convection fans. Personalize your hearth product with your preference of options. ﻿*All measurements and colors are approximate. Contact Bare's for details. Specifications may change without notice. Please note Bare's Stove and Spa strives to update manuals and information as they become available. These are for reference only; the latest documentation by the manufacturer takes precedence. Please visit Bare's Stove and Spa for color options, dimensions and additional information.